This year’s LIR seminar revolved around the themes of Open Access and Open Source in Irish academic libraries. An eclectic mix of speakers addressed an equally eclectic mix of seminar attendees gathered in a lecture room at Trinity College Dublin, School of Nursing and Midwifery. First up was Niamh Brennan who gave an interesting and engaging overview of Open Access initiatives within the wider European context. On reflection, this was my favourite and most valuable talk of the day (there’s another one which I will refer to later). Niamh reminded us about the strident advances Open Access publishing has made over the years by going through Suber’s timeline of the Open Access Movement. I suppose J. Austen was appropriately quoted in this context: “The distance is nothing when one has a motive”. SPARC (the Scholarly Publishing and Academic Resources Coalition) = an international alliance of academic and research libraries working to create a more open system of scholarly communication. SPARC is involved in OA education, advocacy and incubation activities. The SPARC Open Access Newsletter & Forum will keep you up to date on OA news and analyses of the open access movement. FOSTER (FACILITATE OPEN SCIENCE TRAINING FOR EUROPEAN RESEARCH) = a two year project which aims to set in place sustainable mechanisms for EU researchers to FOSTER OPEN SCIENCE in their daily workflow, thus supporting researchers optimising their research visibility and impact, the adoption of EU open access policies in line with the EU objectives on Responsible Research & Innovation. PASTEUR40A (Open Access Policy Alignment Strategies for European Union Research) = aims to support the European Commission’s Recommendation to Member States of July 2012 that they develop and implement policies to ensure Open Access to all outputs from publicly-funded research. Science Europe = is an association of European Research Funding Organisations (RFO) and Research Performing Organisations (RPO), based in Brussels (founded in Berlin, Oct. 2011). euroCRIS = euroCRIS is a not-for-profit organisation, dedicated to the development of Research Information Systems and their interoperability. OpenAIRE = operates an electronic infrastructure for handling peer-reviewed articles as well as other important forms of publications (pre-prints or conference publications). This is achieved through a portal that is the gateway to all user-level services offered by the e-Infrastructure established, including access (search and browse) to scientific publications and other value-added functionality (post authoring tools, monitoring tools through analysis of document and usage statistics). DRIVER = is a multi-phase effort whose vision and primary objective is to establish a cohesive, pan-European infrastructure of Digital Repositories, offering sophisticated functionality services to both researchers and the general public. Niamh emphasised the role of libraries to support researchers in their bids to securing research funding, as well as their role in archiving and making openly accessible research output. Horizon 2020 got an extended, special mention in this regard, with a focus on the “Guidelines on Open Access to Scientific Publications and Research Data in Horizon 2020” (see in particular sections 29.2 - Open access to scientific publications, and 29.3 - Open access to research data). On a more local footing, the Repository Network Ireland provides a support framework for Irish repository operators. Open Access Ireland provides information on Irish OA activities and advocates for open access publication in Ireland. Next up came Jim Foran (IT Sligo) and Maeve McCauley (LIT) who spoke about their experiences in collaborating on the union repository, Connacht Ulster Alliance Repository (CUA) (the full presentation is available here). Glenn Wearen spoke about the vast array of open source (& closed source) software packages used by HEAnet in support of their services. He noted that various considerations of whether open source is viable to HEAnet IT services come into play: 1) cost (support requirements of open sources vs. licence fees), 2) infrastructure requirements (on-site/off-site hosting), 3) open standards (integration of open protocols with commercial products), 4) maintenance standard of a given open source solution (is it widely deployed and well maintained). The full presentation can be accessed here. Helen Fallon and Anne O’Brien talked about their experience in creating the Ken Saro-Wiwa Audio Archive, which was launched in November 2013. The archive represents a series of recorded interviews with various individuals (including Owens Wiwa, brother of Ken) close to the leader of the Movement for the Survival of the Ogoni People (MOSOP). The archive is hosted with Soundcloud. Anne and Helen gave valuable advice on the creation of audio archives. The full presentation is available here. Yvonne Desmond (DIT) spoke about portals in the context of open access. The function of the Digital Commons’ discipline wheel was explained. The wheel is a visual aggregator of full-text content from all DC IRs. After lunch, Scott Wilson of OSS Watch spoke about decision making variables that “buyers” of free software should consider. Check out the resources section of their website for more details and tools. The site also hosts a section a list of open source software options for education institutions. Niamh Walker-Headon provided us with an interesting Prezi about implementing and using Open Source software at ITT library. Her presentation will give you a good overview of successfully implemented OS packages + a host of links to OS resources. David Kane from WIT showcased his home-made solution which simplifies the online submission of materials to their ePrints repository. See presentation here. His deposit helper is available on GitHub. Padraic Stack and Hugh Murphy (NUIM) reflected on their experience of extending access to Teresa Deevy’s papers through a virtual exhibition space using Omeka. This was a most interesting talk as it highlighted not only the advantages of Omeka (easy setup-up, good range of plug-ins, Dublin Core extended, light-weight repository environment), but also its drawbacks (restricted number of themes to choose from, small developer community). Check the full presentation here. Jennifer Collery (UCD) presented on her experience in setting up an OER plagiarism tutorial based on ITT’s version. The idea was to re-purpose and tweak something good already out there, rather than re-inventing the wheel. Check out her presentation and listed OER resources including Jorum, OER Commons, MERLOT and Wiki Educator among others. Deirdre Judge / IADT. See presentation here. Her presentation covered extended open access to the physical library space. David Kane / WIT reflected on his experience of assembling a scanner using an open source blueprint. Total cost: 500 Euro. Capacity: 120 pages per minute. Michael Ladisch / UCD spoke about ORCID (Open Researcher and Contributor ID). This is a most interesting proposition to the wider research and library community and well worth pursuing for your own institutional context. Guest Post by Keith Brennan, freelance Instructional Designer. Keith is running a miniature, open online course in social media and educational technology - #moocie - as part of his MSc in Applied eLearning research at DIT. Launching on the 24th of March, #moocie is a free, open to all course in social media for educators. It comes in two parts. A Social Media toolkit, open for March 24th, which aims to facilitate educators, trainers and tutors of all stripes to develop their knowledge of, and competency in using blogs and twitter. It’s targeted at people new to these platforms, and focuses on the basic skills – sending tweets, embedding images, setting up and posting to a blog. It’s a series of lessons, with practice opportunities, that aims to get those new to social media up to speed with using twitter and wordpress blogs in advance of the main course. #moocie, the second part, focuses on the theory and practice of using social media in educational contexts. It has five seminars, covering digital literacy, digital curation, 21st skills and tools, online privacy and content ownership on social media, and 20 ways to use twitter in the classroom. That runs for one week, from April 7th, with one online seminar each evening, at 8pm GMT, and tweetchats after each seminar, as well as blogging challenges. Both courses are open for registration now, and registration is open until April 6th. In the blog post below, Laura Connaughton outlines her experiences of completing a Level 6 Award in Leadership from the ILM through Public Affairs Ireland, including the potential benefits for those working in management roles in LIS. Public Affairs Ireland, in partnership with the Institute of Leadership and Management (ILM), offered this course over three days based in Public Affairs Ireland offices in Mountjoy Square, Dublin 1. The ILM is a London-based management organisation that partners with Public Affairs Ireland to improve leadership and management performance through its range of learning and management programmes. Its Level 6 Award in Leadership is a “qualification exploring leadership roles and theories, self-leadership, winning and maintaining commitment, setting and communicating direction”. The course is three full days in duration with home reading and a written assessment. Day one focussed mainly on the Myers Briggs Type Indicator (MBTI), a framework designed to look at and understand ourselves, how we operate in the workplace and opportunities to develop in our role as leader/manager. For those who have not completed MBTI before, this is a really excellent opportunity to do so as each person’s personality type is explained in great detail by the instructor. Not only do you get to understand your own personality type, you get a greater understanding of other types and how types ‘complement’ each other in the workplace. Some of this day was participatory and we completed exercises to demonstrate the influence of each type in the workplace. On day one we also assessed the prevailing leadership style and culture in our own organisation. Day two looked at leadership definitions, roles and responsibilities. We also looked at leadership theories and the different styles these illustrate. Individually and collectively through group work, we identified our own leadership characteristics, strengths and limitations. One of the most important aspects of day two was learning how to identify opportunities to develop oneself in a leadership role. Motivation was the focal point of day three. We looked at motivation theory and how motivation and staff needs are interlinked, how to promote performance and motivation – putting theories into practice. In the second part of the final day, we discussed communication in leadership along with how to develop and achieve commitment to vision and goals for projects/work. Finally we looked at the importance of the leader’s role in protecting and mentoring team members. The target audience of this course is public sector employees who, in the course of their work, are expected to perform a leadership role. The course I attended included members of staff from the civil service mainly. All attendees were in managerial roles. All participants were encouraged to share their own experiences, in confidence, and participate in the group exercises and presentations. 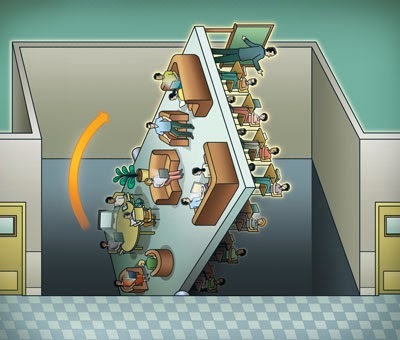 As a relatively new manager, I found the course to be both eye-opening and extremely interesting. Firstly, by garnering an in-depth understanding (MBTI) of my own personality I was immediately able to see how it influences my own behaviour in the workplace and how others perceive me as a leader/manager. Interestingly I found that afterwards I could apply my MBTI diagnosis to focus on my strengths in the workplace but also, importantly, my weaknesses. It also taught me to recognise personality traits in my team and how different personality types complement each other. The theoretical element of this course introduced the attendees to leadership and the vast amount of theory written on the topic. By understanding this theory, we became equipped to identify the existing leadership styles in our own team and wider organisation and also to assess the effect existing leadership styles have on behaviour and performance. Hand in hand with leadership theory came motivation theory and we learned how to develop our own ability to motivate others, especially now in a climate where monetary motivation is virtually non-existent. What I found most useful throughout the three days was learning how to develop our own ability to apply different leadership styles, as appropriate to the situation and the team members involved. A good leader does not just have one ‘style’; a good leader can alternate between styles, such as a democratic, pacesetting, coaching, authoritative or affliliative style - or a combination of all. Overall, I would recommend this course, not just for people new to leadership but particularly people who have been managers for quite some time. I felt we were taught the tools to maximise our own ability to perform effectively in our leadership role. The course was highly participatory and I found the instructor to be excellent and encouraging. The assessment is a written reflective review of between 1500 and 2500 words on “Assessing your own leadership capability and performance”. 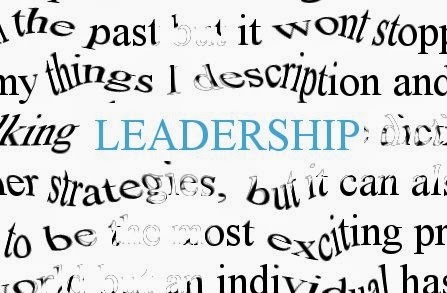 Participants must complete and pass this assessment before receiving the certificate in Leadership. The course fee is €995 + €115 ILM registration and certification fees for Public Affairs Ireland subscribers. For non PAI subscribers, it costs €1250 + €115 ILM registration and certification fees. The next course will be held in May 2014. Fellow librarians - How / why did you become a librarian? For those of you who wish to elaborate beyond a tweet please DM me. Thanks. Recently I was asked how did one of my colleagues end up working in the library. Even though we have worked in the same library for the past twelve years I didn't know the answer. I then realised I don't know how most of my colleagues ended up in this profession. This got me curious. Since it was a Saturday and we mostly don't work Saturdays in UCC Library I put a call out on Twitter. Tweets and Direct Messages answering the question began to flow. I began to see similarities in a number of the replies. It being a slow day I then thought it might be useful and interesting to collate these into a blog post. Which is where I am now - writing a very short post about how a small group of people found themselves working as librarians. This post is very much a snapshot of a particular group at a particular time - people who were on Twitter on the given Saturday around midday. I don't hold that this particular can be representative of a general. Such extrapolation would require a much larger group and deeper analysis and some actual research. This post is not that. It's just, in my very humble opinion, an interesting narrative from a small group of interested people. I was always jealous of the student employees, dream job! Got student library assistant job as an undergraduate. Thought might be a good career. Went to library school & got my degree. Worked as a student assistant while doing a MA. Liked the teaching and learning aspect that was in the profession. Realised very soon the Hdip in Education I had started was a mistake. Got a LA job in college library in London. Loved it. Still working in libraries 20 years later. Had enough of teaching. Saw ad for library assistant position covering maternity. Got it. loved it. Still here. The first connector for many of the people that replied was teaching. There were a surprising number of people who had been, or had at least been training to be, teachers. As to why these librarians left the teaching profession to move into librarianship that is another question for another day for another person. Another connector was people doing postgraduate studies in another field. People who replied were doing Education, Media Studies, Journalism, English, Business, Law, Science. Through their use of the library and the realisation that they loved research they decided to move into librarianship. As I see it, what seems to connect most of the people who replied is that they all ended up working in libraries or in a related information field almost by chance. Either they worked as a Student Help / Assistant whilst being a student. Or they came to it via their studies in another area. Or through work in a sometimes related area. For a small few it may have been the case that they made a conscious effort to get into this field - they liked the vocational aspect, the curatorial aspect, the research aspect, the creation of order where there was chaos aspect. But for the majority of us it was very much a happy accident that led us to be librarians. We, the group who replied to my question, are, in the main, as one respondent put it - the Accidental Librarians. So are you an Accidental Librarian? What was your path to where you are now? Chance? Choice? Happy Accident? Acknowledgements required - the Title of this post is courtesy of David Hughes. In one of his tweeted replies he used the phrase the Accidental Librarians. I love this idea. I thought what a great concept. Had never heard it before. (But, to be honest you know that way that once you notice something for the first time - you see it everywhere? I have since have seen it elsewhere but still feel I owe David an acknowledgment.) And of course, could go without saying but I won't, a big thanks to all those who tweeted and DMed me - too many to mention individual names, wordcount limits and all of that, but thank you all! Over two days in Manchester, a group of 100 librarians came together to unlock some creativity at i2c2 (#i1c2). Brendan Dawes provided the first keynote. As a designer, working with digital data, Brendan’s work reminded me initially of David McCandless of 'Information is Beautiful’ fame, but as his talk progressed, he focussed as much on the analogue as the virtual. Speaking in a very informal and impassioned way, a huge amount of what he said would resonate with anyone working in our data fuelled profession today. His skills at visualising data were ably displayed, as well as his creativity in using this data via exhibitions and apps such as Kennedy and interfaces such as doodlebuzz. 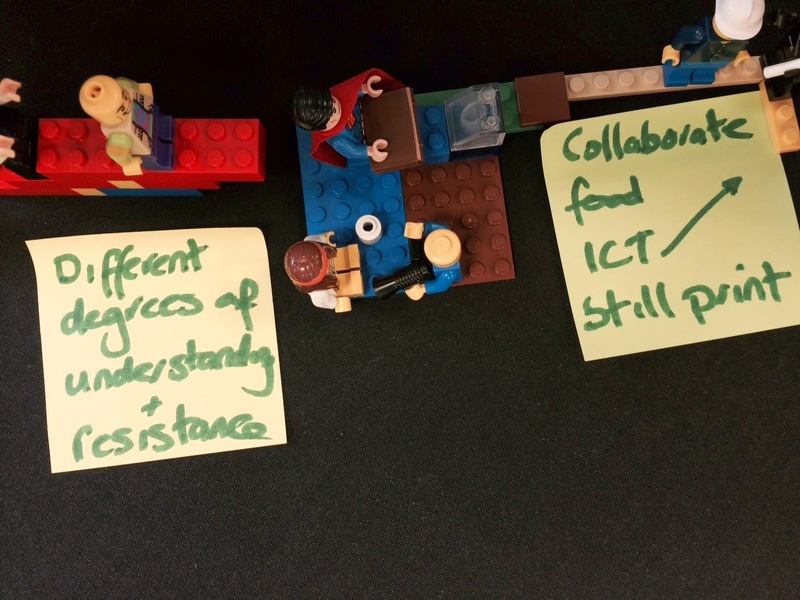 The rest of day 1 was spent in a haze of Lego blocks, flip charts and the occasional [more] traditional talk - all of which were meant to inspire a more creative approach to what we do, and all of which were effective, in very different ways. It was a welcome surprise to find out that playing with Lego is now a legitimate way to solve ‘grown up’ problems (no, really!) and the time spent at ‘serious play’ was hugely enjoyable and instructive and dovetailed nicely with group sessions along the lines of discursive problem solving, which happened throughout the 2 days. As with any conference which has parallel sessions, some of the ones I missed sounded useful – particularly the University of Manchester staff talking about innovation in projects such as Eureka!. The workshop using Ketso to map and manage change had great potential, but perhaps suffered from a lack of time, making it hard to understand why the Ketso scheme would work better as a methodology over more traditional organisational mapping, or a world cafe, for example. Day two started with David White, and academic who researches how we use the web for learning and identity. Using models such as ‘visitors’ and ‘residents’ which seek to move beyond the much quoted (and oft-derided) ‘digital native’ idea, David’s words will have chimed with anyone who has tried to promote critical evaluation of information to a user. As with Brendan Dawes, a very thought provoking keynote, which asked librarians to focus more on thinking about content, rather than curating it and the cultivation of a ‘pedagogy of questions’ over the quest for answers. Again, Day 2 had its fill of group challenges and collective creativity. Although I missed it, the session entitled Bringing it Home: Tools to Bridge the Gap Between Inspiration and Real Action, which aimed to show attendees how to positively persuade, influence, and motivate their colleagues received huge praise from people lucky enough to attend, and comes highly recommended. The afternoon’s sessions included a variety of short talks and more structured presentations and while a little shorter than some previous sessions, worked very well as a quick snapshot of the creative work which is going on in our profession. LAI Academic & Special Libraries Annual Conference, Thursday 27th Feb 2014: Information Innovators. The Academic & Special Libraries Annual Conference took place this year in the Radisson Blue Hotel Dublin. I was fortunate enough to attend both days of a very well organised conference full of interesting Keynote Speakers, thought provoking Break Out sessions, challenging [for other libraries] Case Studies and engaged delegates. My fellow blogger @mishdalton has posted her thoughts on the Friday session at LAI Academic & Special Libraries Annual Conference, Friday 28th Feb 2014: Information Innovators. This post reports on the Thursday afternoon sessions. The keynote speaker for Thursday afternoon was Fionnuala Croke, Director of Chester Beatty Library. She titled her paper When is a Library not a Library? Fionnuala began this paper by giving a quick overview of the Chester Beatty, its history and its collections. In the second part of her presentation she looked at the issues which face the library and how to best fulfil their brief within this distressed economic climate - something everybody at the conference could relate to. She talked about the key role technology now plays in helping them to meet their aims and goals. She mentioned the Digitization programmes taking place within the library. Many of these programmes are done in collaboration with other libraries, museums or other interested parties. She talked about the strong need for training and the serious need to upskill existing staff due to the current embargo on hiring new staff. The other papers on the Thursday afternoon were Break Out sessions. The first parallel sessions were three Case Studies. The session I attended was that hosted by James Molloy & Susan Boyle of UCD Library. Their session was entitled 'Opportunity out of change; designing a new approach to student and teaching support at UCD Library'. In this session they looked at how the restructuring of UCD library which began in 2011 has opened up new opportunities for how they approach learning supports aimed at both students and teaching staff. With a reduced numbers of Liaison Librarians - was nineteen, now six - they needed to rethink, to innovate and to go about doing things in a substantially different way. They have scaled down the face to face and now use more online learning objects. They have a much improved and heavily utilised Supporting Your Learning section for students and a Supporting your Teaching section for academics. These contain over 60 tutorials. They mention that they are happy for other libraries to utilise these in their Information Literacy Programmes - acknowledgements appreciated of course. They point out that we ignore the technical changes and advances at our peril. We need to be proactive in seeking out these new technologies and utilising them as we go about our daily work. The sessions I unfortunately couldn't attend were Eoin McCarney and Mark Tynan of UCD Library Click Here to order this book: a case study of print and electronic patron Driven acquisition in UCD Library and Laura Connaughton of NUIM Library Gathering meaningful Statistics - Using KnowAll Enquire at NUIM Library'. From the feedback I got from other delegates and the live #asl2014 feed these sessions were informative and of great use and interest to those who attended them. The second parallel sessions were of a Workshop nature. The workshop I attended was hosted by Niamh Tumelty, Library of the University of Cambridge, Design your own 23 Things Programme. This session was broken into two parts. Niamh first presented her experience of participating in a traditional 23 Things programme as well as her experience of developing one with a twist: 23 Things for Professional Development. This programme mixed the traditional social media elements of a 23 things programme with 'things' encouraging reflection on personal and professional development. This was a very successful programme and attracted over 1,000 participants worldwide. For the second part of the session we broke up into small groups to discuss what sort of programme we would develop if asked to and what sort of 'things' would we be include in it. It was interesting to see the different angles that each group focused on. We all agreed that people should start with a Blog - as this allowed for reflection on the other 'things' as they progressed through the programme. Many of us agreed that Twitter was an essential part of any sort of professional development programme. It was also interesting to see that even this group of professional librarians had differing degrees of knowledge and interest and experience as regards social media and its uses and potential. The other sessions were by Andrew Costello Trinity College Disability Service Making Documents Accessible and Siobhan Dunne, Peter Dudley and Paraic Elliot Dublin City University Information at Point of Need: Practical Tips to Augment your Library Service. Again the feedback from other delegates and the live twitter feed was that these sessions were informative and useful to those who attended. All the Thursday, and Friday, papers examined in their own way how libraries are coping in an era, defined by that phrase beloved of all our Irish leaders since 2007, 'of doing more with less'. They all showed that we need to, must and can do so by being innovative in how we do our jobs. All showed the need to use the new and emerging technologies. All showed libraries doing things differently. They are, as we all, living and working in a disruptive age, an age where the old rules don't necessarily apply. The old way of doing things is not necessarily the best way of doing things today. They showed that to survive and still be relevant we need to take control and lead the way through this disruptive phase. They all showed that by being Information Innovators, by being librarians who evolve in the digital environment we can be as relevant, if not more relevant, than we always have been. The Academic & Special Libraries Annual Conference is always one of the highlights of the library year, and this year I attended the second day of a two day event titled "Information Innovators" (my fellow blogger @martinoconnor3 will be writing up the Thursday session). The keynote for the day was delivered by Ben Showers, Head of Scholarly and Library Futures in Jisc (@benshowers), who managed to succinctly blend the worlds of libraries past, present and future to offer a view of where we might be heading. His metaphor of 'the crooked hat' - a tool used by sailors to help navigate themselves around fixed and known points has obvious parallels for libraries in what is a changing and uncertain landscape. Practical and achievable projects such as Lemon Tree (University of Huddersfield), LIDP & LAMP, offer us tangible and concrete reference points for how we can 'use' technology and innovation in a meaningful and real way for our users, as emerging trends like library as publisher, data management and analytics open up in front of us. I think Ben also managed to encapsulate two of the areas where I think libraries can still improve significantly, that is, firstly by adopting a true user focus (not just saying it, but actually delivering user-driven services throughout the entire library), and fully translating and utilising the data and analytics we collect to inform, shape and drive our services. Technology can help us with these, if we are willing to approach it and embrace it in the right way. The remaining presentations provided a showcase for some of the innovative projects that are going on in academic and special libraries across the country. Laura Ó Broin from Houses of the Oireachtas outlined the delivery and implementation of a new WordPress powered internal Library & Research Service website to support staff needs in an environment where accuracy of information and speed of delivery are paramount. Mary Antonesa from NUI Maynooth presented on the Findit@NUIMLibrary mobile app. Mary emphasised the importance of having a very focused, clear and detailed specification, and knowing the purpose and aim of the app from the outset. In Maynooth's case, it had a very specific aim of serving solely as a directional tool for students, to help them locate items and places within the library. It has proved extremely popular with students, particularly first years, with over a thousand downloads since it was launched. In the afternoon session, Liz Dore and Donna Ó Doibhlin from UL described the redesign and restructuring of reference services at the Glucksman Library through the use of Space, Technology, Education and People (STEPS). The change was sparked by the introduction of a new single services desk (replacing separate circulation and information desks) and LibQual feedback which highlighted the need for subject-specific support from faculty librarians. Some of the changes introduced include a new form for collecting query statistics, a comprehensive training programme for information desk staff, a new three-tier referrals process for filtering queries and a mobile phone for the Librarian on Duty to ensure help and support is available to desk staff at all times. Florence Curley from PWC provided an overview of Spark, a new social media-based internal platform for staff to connect, collaborate and create. Florence highlighted some of the challenges involved in promoting and implementing this kind of tool in the corporate setting, where there may be data protection and security issues, as well as skepticism surrounding how valuable social media can be. Her colleague Aoife Connolly emphasised the need for us to "look beyond the label" of social media, and realise that in many ways it is just a new way of packaging and accessing some of our core and traditional services, expertise and functions. Christoph Schmidt-Supprian from TCD revealed an exciting new service for born digital and electronic publication, edepositIreland. The service uses the existing infrastructure from TCD's IR, TARA, and is based on a self-archiving model whereby publishers deposit their material and also provide the majority of the metadata. In contrast to the UK approach, edepositIreland will start with open access rather than commercial publications, providing guaranteed longevity and archiving for electronic publications from government department and agencies. edepositIreland will be officially launched in the next couple of months, and no doubt will cement its position as an essential service before long. Once again, the A&SL Conference highlighted the breadth and diversity of work that is going on in the sector every day of the year. The idea that technology and innovation can help us to deliver our core services in a way that helps us serve our users better resonated throughout the day. Disruption, change and transformation can ultimately help us to make our libraries better and remind us all of what can be achieved - even in times of cutbacks and dwindling resources.